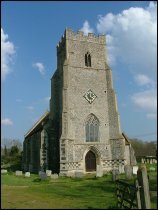 St Martin is a favourite church of my friend Tom Muckley, companion on some of my Norfolk forays, and since our tastes often coincide I was confident of liking this one too. 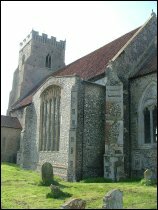 I wasn't disappointed; after the lockout at nearby prissy Merton, this was a proper church; open, firmly seated in an ancient space and properly lord of all around. 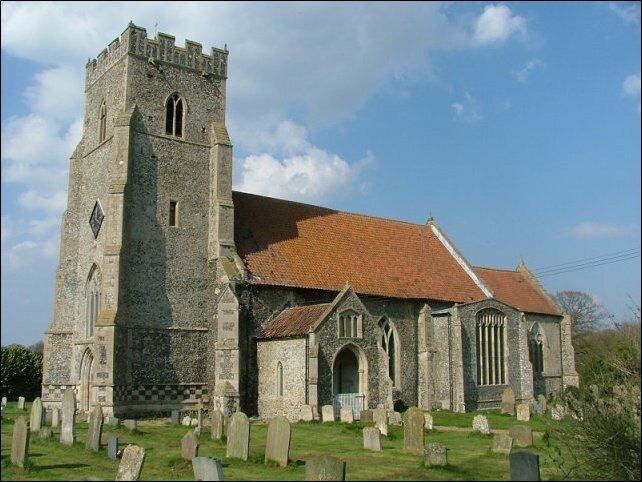 In 1349, coincident with, and possibly in response to, the Black Death, a college of Priests was founded at Thompson by the Shardlows to pray for their souls. 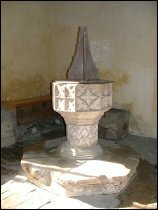 Much of the rebuilding and refurbishing of the church from then until the Reformation of the 1530s was a response to that foundation. 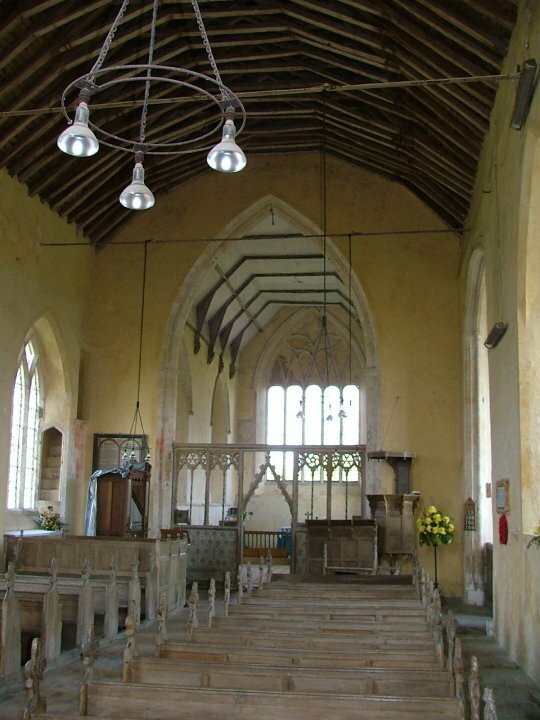 That this is a collegiate church is revealed by the fittings in the chancel, but one of the later Shardlows thought himself needy enough of prayer to build a separate chantry chapel at the east end of the south aisle in the mid-15th century. 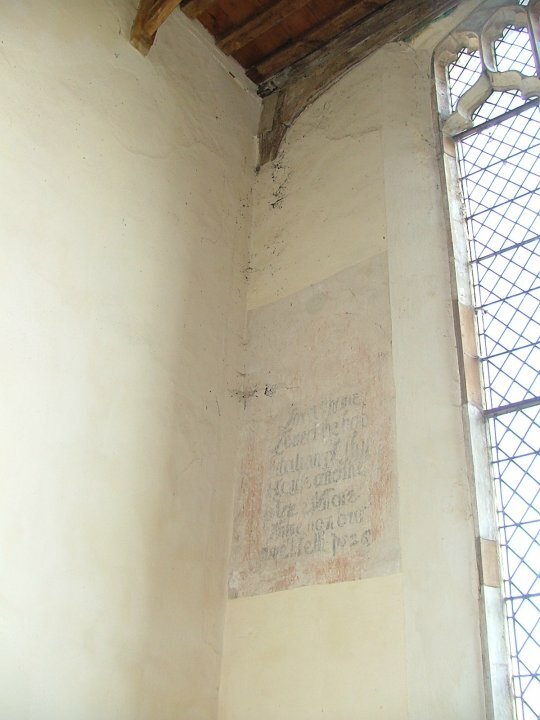 But even this is understated, and barely extends two metres southwards of the aisle wall. 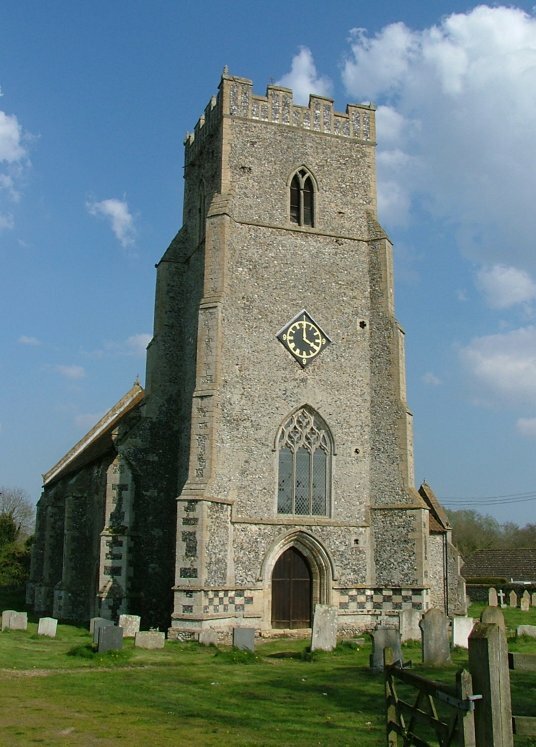 The tower is reminiscent of nearby Tottington, now abandoned, although it put Pevsner so in mind of other neighbours Ashill and Caston that he is sure they're by the same mason. 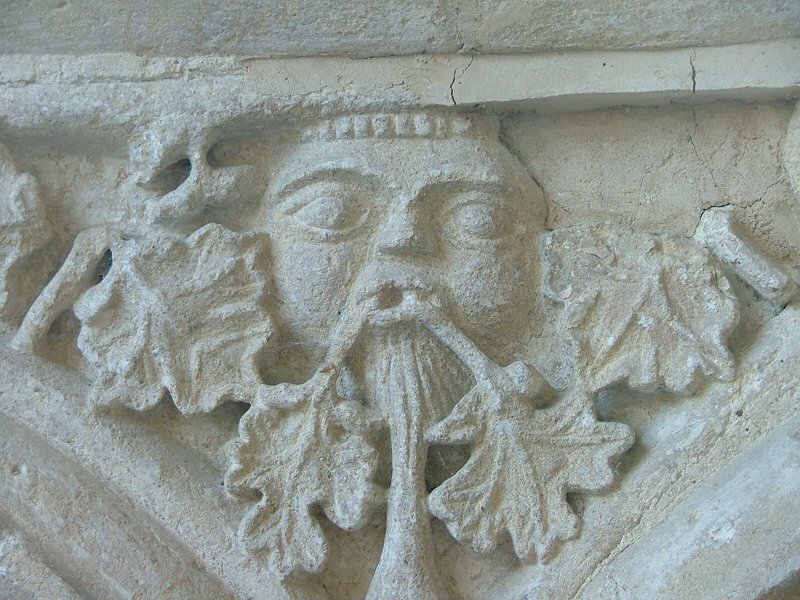 In general, I thought the tower probably predated the college, as does the aisless, clerestoryless nave. 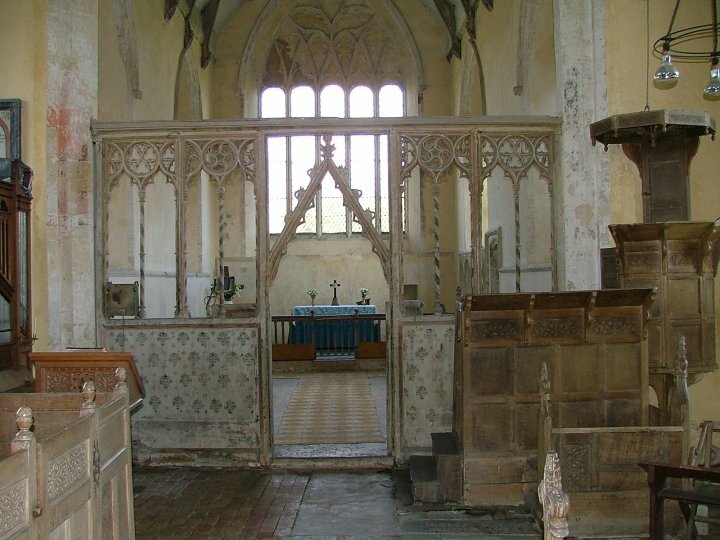 That so much has survived in here is thanks to that most contrary of guardians, neglect. Since the Reformation Thompson has shared a minister with its more important neighbour Merton, beside the Hall. The Victorian Lord Walsinghams set their busy artisans to work there, and let this one be. 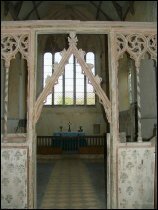 There was a polite reordering just before the First World War, but that is all. 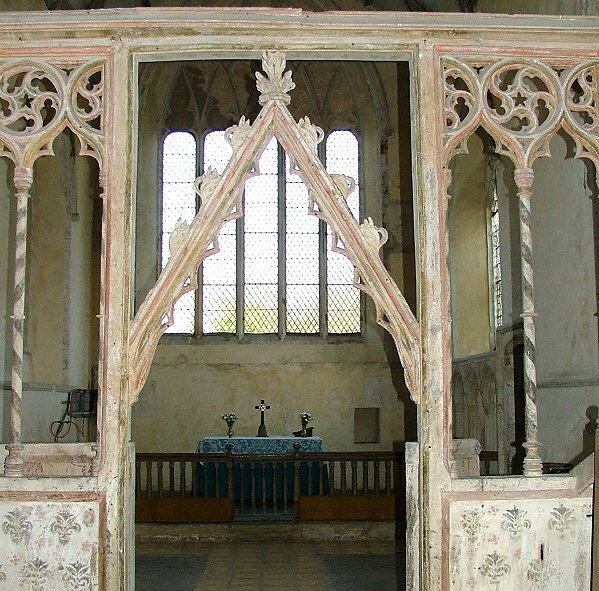 And so, the woodwork is silvery and ancient, having escaped the varnishing the 19th century lavished elsewhere. 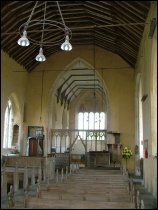 Uneven floors balance the gorgeous screen, and the nave is full of quirky little details: the benches, installed on the eve of the Civil War and dated as such, perhaps by puritans to increase the capacity of the building for long sermons, and an intriguing structure for those sermons to be delivered from. 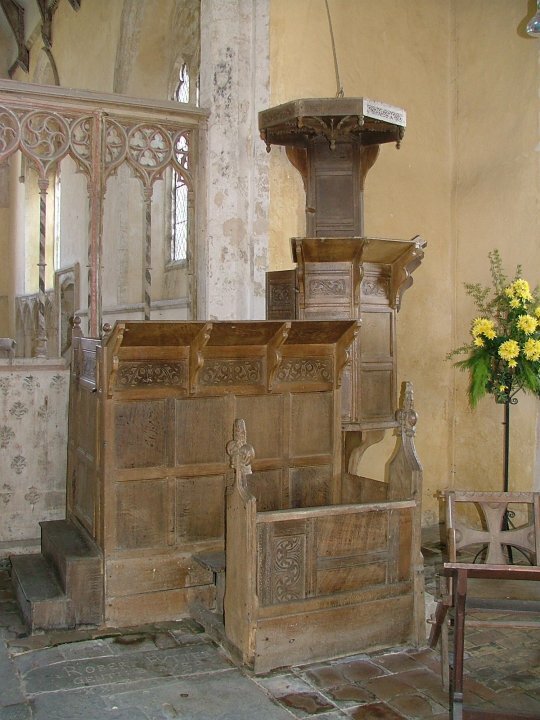 This is a three decker pulpit of sorts, but cobbled together from bits and pieces found elsewhere in the church. 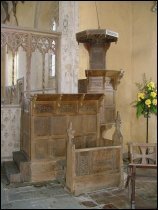 The pulpit itself is a wineglass shape, possibly pre-Reformation; the adjoining minister's stall and lectern is a modified panelled pew. 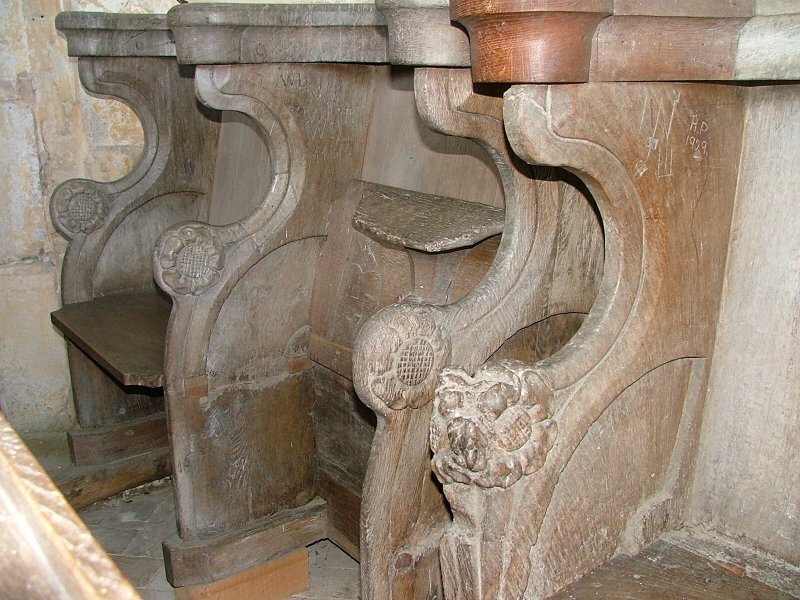 The clerk's desk appears to be part of a stall, and was possibly added later. 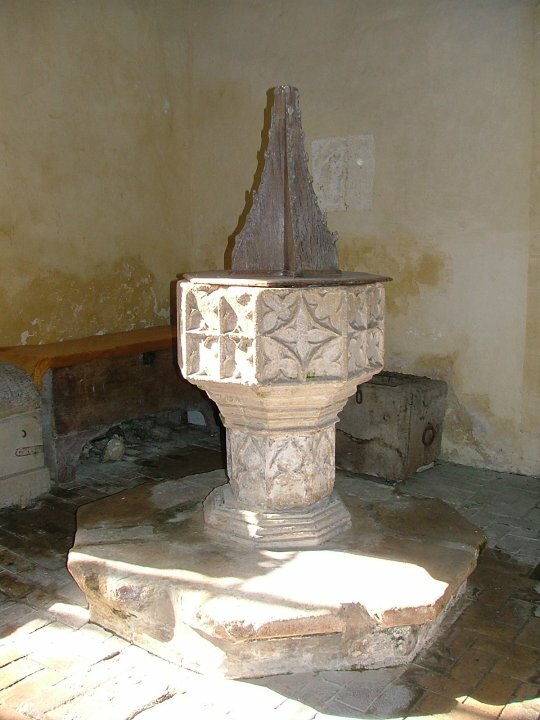 For several centuries, it was this structure, and not the altar, that provided the focus for the worshippers of Thompson. 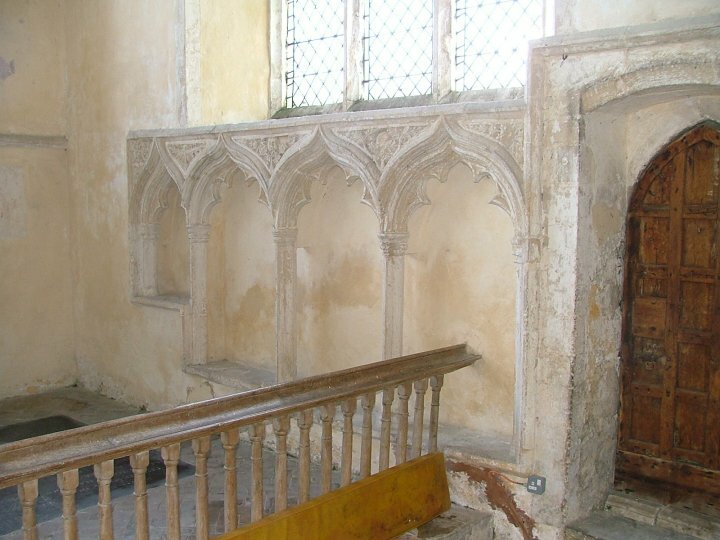 But perhaps it wasn't puritans who did it, because wholly contemporary with all this is a superb surviving set of Jacobean altar rails, installed here at the behest of Archbishop of Canterbury WIlliam Laud in 1630. 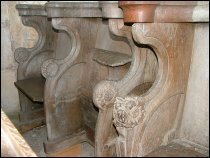 These are worth more than a passing glance, if only to take in their significant place in English history. 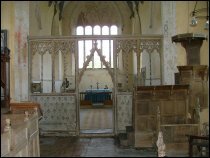 Every church had to have them, accompanied by a raised step if possible, and the holy table was to be removed from the nave and placed lengthways within the rails against the east wall. The uprights of the rails are placed at regular intervals, obstensibly to keep dogs out of the sanctuary. 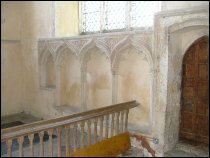 In fact, English churches did not have altar rails before the Reformation, but such a blatantly Catholic practice as defending the altar was anathema to the puritans, and increased to fever pitch the struggle to control the national Church. There was a lot of resistance to Laud's demands at parish level, particularly in East Anglia, and once the Civil War was underway the Parliamentarian troops were charged with the task of entering churches they passed to remove the altar rails and burn them. 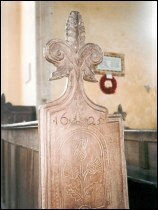 Laud was captured, charged with treason, and beheaded. In Suffolk and Cambridgeshire, the iconoclast William Dowsing was commissioned to travel the county ensuring that steps had been lowered and altar rails removed, and we may assume that something similar happened in Norfolk. So they are a real survival. 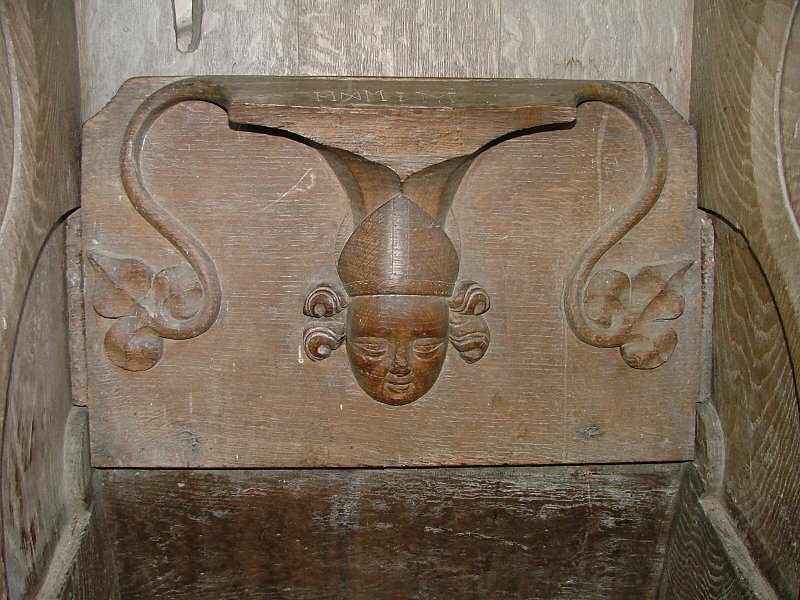 These 17th century fittings are exciting, then, but it is the medieval survivals that inspire awe. 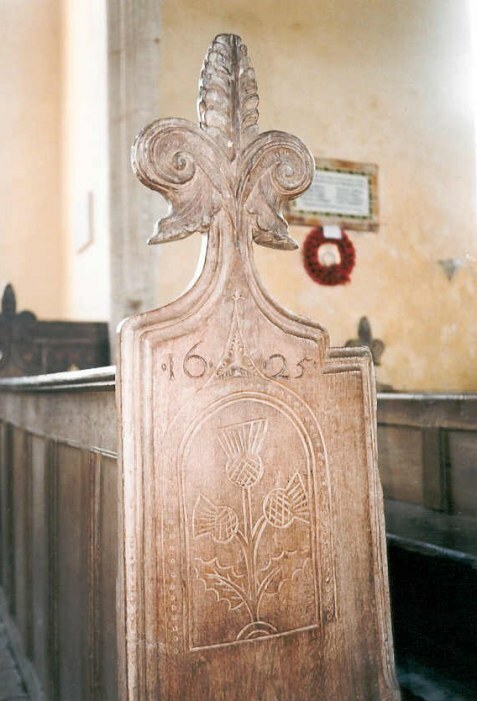 The screen is a rustic delight, stencilled with flowers, and its shafts, as Mortlock observes, turned like barbers' poles. 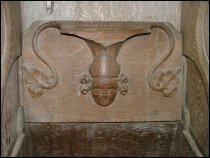 Behind it in the chancel are the college stalls with some of their misericord seats carved underneath, including one of a rather serious Bishop. 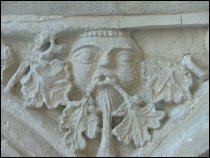 Less serious, more mysterious, are the green men who peer out from the spandrels of the wonderful sedilia - you can see my favourite below. 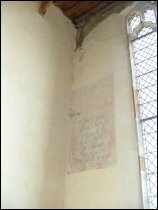 Wall paintings survive, though so fragmentary that it is hard to make anything out - apart from a couple of post-Reformation texts, installed there by the Elizabethan church in its attempts to turn us all into serious-minded protestants. 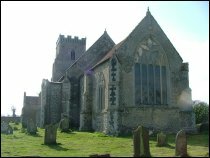 What a battleground this church has been!